This single word 'audition' can elicit many different emotions including giddiness, fear, nervousness and elation. Regardless of how you respond when you know an audition is looming, it’s important to prepare yourself for the process. Whether it’s your first amateur dramatics society audition or your seven-hundredth, you have to be mentally and physically ready to give it your best shot. Unless you have no time to prepare for auditions (and that will be rare), make certain you get a copy of the script before you head off to auditions. Some societies will loan you a copy if you ask; if not, check on the Internet or in your local library. 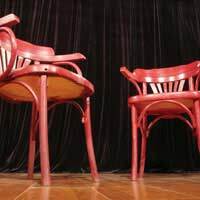 Having foreknowledge of the drama, comedy, or musical will help your audition tremendously. Think of it this way – it’s better to learn ahead of time that you’ll be expected to walk around in your “skivvies” during Act Two if you’re cast as “Joe the Landlord” than to find out after you’ve accepted the part! The day before an audition should be a time spent preparing your body to be at its best. This means eschewing any kind of food or drink that could hinder an excellent performance. For example, it’s best to avoid heavier, highly fattening and/or starchy foods except in their most natural forms. A baked potato with very little topping is a much better choice than mashed potatoes, which tend to have more calories and fat. Additionally, if you tend to have problems digesting raw veggies or fruits, it might be best to avoid them the day before the audition as well, as it’s tough to feel comfortable when bloated or in any kind of gastrointestinal distress. If auditions are held in the afternoon or evening, try to exercise for at least 15-30 minutes the morning of the event. If for some reason the auditions are held in the morning, exercise the day prior. Moving your body (even if you’re just walking briskly) will help get out your nervous energy and allow oxygen to fuel your brain, body and lungs. You’ll feel more enthusiastic and less lethargic; consequently, your skin AND your audition will shine. Cold reads are common during auditions, and if you’re not familiar with them, know that they are very simple. Actors are given a script and expected to immediately launch into dialogue without any real time to prepare. Cold reading is a learned skill for many, so the more practice you get, the better. Have a friend randomly hand you a monologue or soliloquy and act it aloud without reading it first. If you’re stumbling over your words, know that it’s common, especially for people who are unaccustomed to “cold reading.” Just do your best at auditions; you’ll probably be much stronger than you think! Even if you’re nervous, don’t stay up all night the evening before an audition. Tiredness will only serve to make your experience more rattling. Even if you have very little performing experience, it’s an excellent idea to write up a one-page curriculum vita (CV) to give to the casting director at your audition. Generally, having a CV is not expected among amateur dramatics groups, but it adds a nice touch. It also shows that you’re serious about wanting to be cast in the upcoming show. Finally, when you’re heading into the audition room, let yourself relax. Just enjoy the atmosphere and take note of what you’re asked to do. Don’t try to “read into” whatever the casting director says; 99.9% of the time, he or she is just talking, not trying to send you secret messages. After it’s over, thank everyone for their time and head out the door knowing that you did all you could. Then, walk for that phone call or email. Break a leg!